KYANKWANZI – District chairpersons, LCIII chairpersons and district speakers belonging to the ruling National Resistance Movement have again endorsed President Museveni as the sole party presidential candidate for the 2021 elections. Uganda Local Government Association comprises the district chairpersons, speakers, the LCIII chairpersons and Chief Administrative Officers. The constitution demands that civil servants remain apolitical and where they choose to join active politics, they must resign at least six months before nominations. 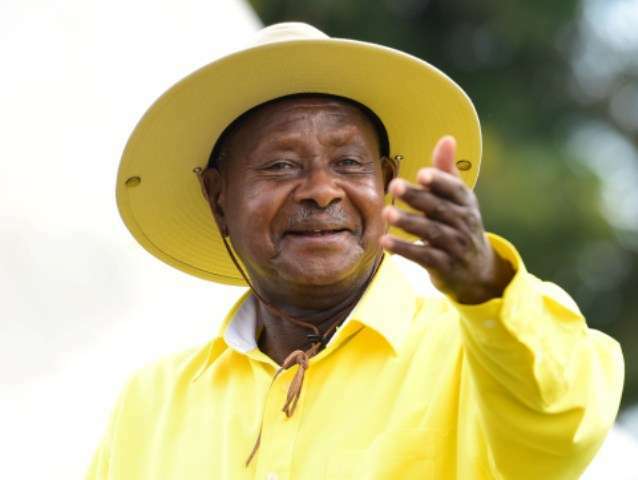 The CAO’s are head of civil service in the districts and their endorsement of president Museveni as sole candidate would raise serious questions about their impartiality. Mr George Mutabazi, the Lwengo district chairperson who is also the president of ULGA. said there is nothing wrong with the district chairpersons asking president Museveni to stand as the sole NRM presidential candidate. “We are the majority and we see nothing wrong in fronting our candidate as the sole NRM candidate in the next elections. We have made a decision which we have forwarded to the State House for consideration,” Mr Mutabazi said. “We decided as the NRM members. ULGA is made of district chairpersons, LCIII chairpersons and the CAOs. We made the decision as the district and sub-county chairpersons and therefore we have nothing to regret about. The only missing groups were the chief administrative officers who didn’t attend the meeting. As for the district leaders who are in the opposition, they did not sign the petition and for us we are determined to see that our party chairperson stands as the sole candidate,” he said. Mr Mutabazi said he was optimistic that the president would yield to their petition. “We are presenting our petition to the president and we are confident that he will accept it. I request that you don’t publish the news until the president receives the petition,” he said.